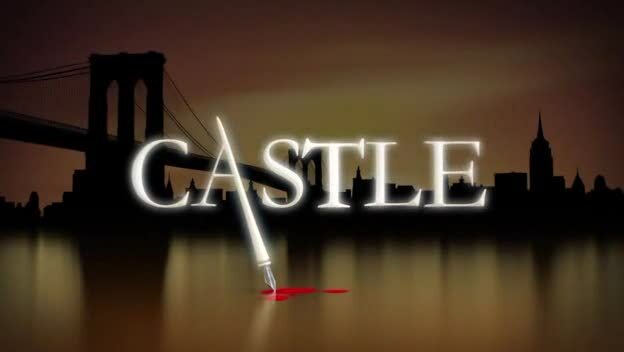 So, a treat for Valentine’s Day: new Castle episodes two days in a row! Yay! First episode feels like a little homage to Perry Mason. When Castle happens to witness a murder, he is not at all hesitant to testify in court five months later. It’s his first time taking the witness stand, and he is adamant in what he saw: the defendant pushing a poker into the victim, then pulling it out before making a most agile escape. He is confident, as is everyone else, especially since the public defender is supposed to be incompetent. Small detail: that particular attorney’s wife just had a baby, so he’s not available right then. Instead, they have to deal with a most formidable lawyer: Caleb Brown. As it happens, this is the same man that Beckett and Vikram are trying to spy on and connect with Loksat. His entry into the court room seems like nothing short of an unmitigated disaster, a victory for the murderer. Certainly it’s a disaster for the prosecutor’s case against the defendant, as it takes mere minutes for Brown to absolutely nuke Castle’s testimony, shattering his confidence to the point that he’d no longer certain of what he saw. When dealing with matters of life, death, and law, confidence is good, but so is a little realistic self-questioning. Castle and the others go over the case again, fresh, looking at new angles. First they discover what seems to be even more damning evidence: the victim and the defendant were having an affair. But then Castle manages, through his usual, unorthodox methods, to get some interrogation time with the defendant, get her side of things. A little more probing turns up a few more discrepancies and an entirely undiscovered side to the case, but they don’t have anything solid and it gets down to the wire. So Castle takes the stand a second time, this time for the defense, and as he is giving his new testimony, he catches a detail he’d let slip earlier, and catches the killer: the victim’s own husband, who spied on her, confronted her, and then killed her in a crime of rage. You gotta feel for their daughter, learning that her father killed her mother at the same time as the rest of the world, and after five months of grief. With one parent dead and the other going to jail, it’s a small comfort knowing justice was served. At least the innocent defendant was saved. And Beckett found a way in with Caleb Brown. She and Vikram had assumed that his connection to Loksat meant he was a villain, but now she, along with Castle, Ryan, and Espo, has seen his good side. He’s a monster, she says, but one that’s desperate to do good. A villain trying to be a hero. That’s a weak spot she can exploit. As for the second episode… ah, spy thrills again! We have a young Russian man, step-son of a diplomatic official, who is murdered in an abandoned building. To get the case solved as quickly as possible, the Russians have one of their guards ride-along as Castle and the others investigate. Vasily, it turns out, is a mad fan of Castle’s books and is practically jumping and squealing with joy at the prospect of seeing the real-life inspiration of the Nikki Heat novels in action. The victim was a Diplo-brat, meaning a young thug who gallivanted around flagrantly breaking laws and doing whatever he wanted under the umbrella of diplomatic immunity. Disgraceful behavior, but, hey, he was mourning the recent death of his mother, and when he used his Diplo-brat friends to get some information, it would seem more likely that he turned it into a cover to get what he needed. He was investigating his mother’s “accident,” and came close to uncovering the truth, but died just before he found it. Turns out, the boy’s mother never died. She was a Russian sleeper agent, a high-placed spy, and she was on the trail of a traitor in their midst. She found them, and faked her own death to protect herself and her son. Unfortunately, he investigated, stumbled onto the secret, and the spy murdered him in cold blood. Most cold, indeed, considering it was his own step-father who murdered him. Small wonder the boy’s mother tried to kill that rotten piece of filth, as his connections would protect him in any Russian court. Vasily, of course, was also a spy, and was working to protect both human lives and Russia as a whole. He had Castle understandably worried there for a moment, what with being abducted and about to watch a Russian-style “interrogation,” complete with torture. Castle talked very fast, though, and investigated even faster. Within a minute-ish, he got the information Vasily would have taken relative ages to torture out of their prisoner. I note that a similar aggressive touch was used to get that one Diplo-brat to talk, by describing the Russian version of “justice,” which is not the same as its American counterpart. For them, things can move more slowly, yet be much more brutal. For that trouble-maker, it was threatening him with the discreet removal of his feet. For the diplomatic official that murdered his step-son: it seems that he’s getting away clean, meaning to pay a fine and retire, but I doubt he envisioned retiring to the single coldest spot of land in Russia (which makes it a definite candidate for the coldest place in the world). That, however, is to be his fate. Castle and Beckett are enjoying their behind-the-scenes relationship. Their public performance is apparently convincing enough that Castle’s super-spy step-mother couldn’t see through it, which means Loksat is likely just as fooled. Small complaint: ok, seriously? Over fourteen minutes in, over a third of the way through the episode, and then they have the title card sequence? Just throw it up at the very start! Speaking of familiar faces, Jack Thompson is back too! When Wilkes vanished, it was only for a moment or two, but he sees… somewhere else, some other place, and this gaping blackness opening wide, calling him in. He manages to bounce back to where he was, pulled by the sound of Carter’s voice, but he’s slipping, fast, into a place he’d rather not go. I’m starting to wonder, is the zero matter trying to eat everything, or is it trying to go back home, reunite with the rest of itself? Or both, maybe? Hmmm. Either way, Wilkes is freaking out and losing his calm, understandably. Carter is able to come up with the idea of building a containment unit, like was used for the original zero matter, to anchor him in their world for the time being. It’s a stopgap measure, but better than nothing. For it to work, though, they’ll need to make him corporeal again, like happened for just a moment the last time he absorbed zero matter. As they know only one place to get more, they have to obtain it directly from Frost. Who won’t cooperate, wants Carter dead, and can kill with one touch, so going straight at her is not an option. Best chance of getting the sample they need: in the middle of a crowd. When will that be? At a party. And who can go in and get it? Absolutely no one. Carter’s the only one with the skill set and the capabilities, and she’s half-dead on her feet. It’s quite frustrating for her, as she’s accustomed to taking the lead, taking risks, pushing through anything and everything, and getting through any situation with her wits and will. She underestimates the role her strong, healthy body plays in that, and finds herself so badly off that she can’t open a door without bleeding. Sousa knows what it’s like to have an uncooperative body, and he’s able to support her with some wise words about trusting in others. Mind you, Carter’s taking such a desperate measure that it’s only natural for her to want to get involved when things start going wrong. Since she can’t grab the sample, guess what terrible, terrible idea she comes up with? Dottie. They spring her from a secret prison (with a taser net), get her dolled up, and put a choker around her neck so they can track her, and she can’t remove it without dying, or so Carter says. Jarvis handled himself admirably well, even taking Dottie herself to task for her flippant recklessness, which may be of some small comfort to Anna, who has never realized the danger her husband has been facing and is not handling it very well. Of course she would be upset to suddenly learn that the man she loves really has been risking his very life with minimal support! This mission, for instance: infiltrating a party thrown by some of the most powerful and dangerous men in the world, alone with one of the most dangerous women in the world, in order to obtain an exotic material, one of the most dangerous in the world, from the blood of another one of the most dangerous women in the world. That’s a lot of the world’s worst dangers packed into one evening, so, of course, things go wrong. Thompson shows up, forcing Jarvis to intercept and distract him, which just puts him on guard, such that he secures the perimeter just in case. Dottie, unsupervised, gets the sample they need, but goes snooping about. She runs into Vernon Masters and his two goons, plus Thompson, on her way out, but even before that, she witnesses a huge upset in the Arena Club’s Council of Nine (aka, the Hydra Council in the USA). Chadwick brings his wife before the Council. He tells her it’s to make the case for zero matter herself, as he never could, so she can have the entire Council’s support. She does quite well, keeping it simple and with a demonstration (there goes another rat…). The Council is shocked and convinced, now knowing Chadwick was not going crazy. And they immediately try to dispose of her. Unfortunately for Chadwick and the Council, while they were clever enough to have their goons use nooses at the ends of poles to choke her from behind, Frost’s power has grown. She doesn’t need to touch people now. She can send the darkness pooling out, consuming whoever she chooses. The goons are gone, half the Council is gone, and Chadwick is not spared his scorned wife’s wrath, so he’s gone too. She leaves four members of the Council to serve her, and they’re terrified of her now, so they’ll do whatever she says. Hugh Jones even goes straight to the sucking up, which is no great surprise. Leeches are very good at that. So, now Frost has what’s left of the Council, the Arena Club they command, and, through a reluctant Masters and, by extension, Thompson, the SSR. All hers now. Thompson is told to take care of Carter, get her out of the way. Thompson refuses even the idea of killing her, but Masters pushes him to discredit, disgrace, and destroy her. He makes one last attempt at bringing Carter back to DC with him, but she’s having none of it. She’s in the right, and willing to risk everything she has, which is a lot, for the sake of such. Thompson leaves, and I suspect he’s about to declare political war against her. He’s reluctant, as she’s more than earned his respect and she knows his darkest secret. But even so, no man can serve two masters, so he’ll have to choose, one way or the other. Or, in serving himself, he just might manage to manipulate both sides and come out on top. Who knows? I wonder… if the people and rats Frost absorbs aren’t really dead, and Carter saves them by defeating Frost, would they repay that debt at all? So, let’s see… Carter tries to put a leash on a devil and loses that devil, Sousa and Wilkes both now know about the other having feelings for Carter, who has feelings for both of them, Mrs. Jarvis is truly afraid for her husband now, Frost has control of the Council, and Dottie, who knows Wilkes is incorporeal, has been delivered to Dottie. I know Dottie has done terrible things, and deserve many terrible things in return, but I’m not sure I’d wish the potential fate of being absorbed by Frost’s zero matter on anyone. Killing her would be one thing. Feeding her to the zero matter is quite another. Speaking off, let’s see… the zero matter calls to itself, and is keen to all be gathered into one spot again. Absorbing zero matter makes Wilkes physical, which would suggest it’s trying to force its way into our world. But absorbing it makes Frost more powerful and able to project it outwards, consuming whoever or whatever she wants. So it wants to gather together, enter this world, and consume it. …I think. Well that was a heavy episode! On Earth-1, they still have Geomancer running around. Apparently those bullets Joe sent his way just didn’t take. 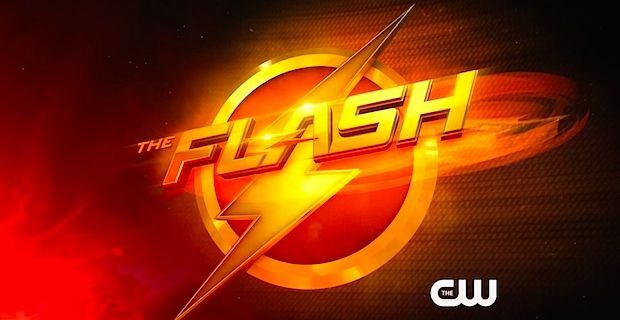 Up for round two, the villainous metahuman starts bringing down a hospital on live television. Cait’s work on Velocity-8 didn’t go so well, but she found and fixed a major problem to create Velocity-9. She doesn’t want to use it without knowing what they’re doing, as Velocity-7 managed to worsen Jay’s unique condition, but when Geomancer attacks, Jay doesn’t hesitate. He has to help, he must save those people so he does. Basically, he steps up, and finally, for a brief and glorious moment, he is the Flash again. Downside: the earthquake attack damaged the speed cannon that they just barely got working again! And there’s only an hour left! So, Jay and Joe work together to get it up and running again. Meanwhile on Earth-2, Barry is kept in a cage, alongside Jesse and their mysterious friend in a mask, who keeps tapping something. Jesse is despondent in her captivity, but Barry manages to reignite her will to resist, starting with decoding what their fellow prisoner is saying. Turns out, he’s tapping out “J-A-Y.” Jay. And gets upset when Barry says Jay isn’t there, that he’s been helping them on Earth-1. Zoom comes back, intimidates both Jesse and the masked man and beats Barry into the ground… which shows Barry how a speedster can get out of the cage, which he spends some time trying to do. Outside, Zoom is hunting Wells and Cisco, scattering pamphlets, making his desires known, to turn the entire city against them. Wells and Cisco, with Reverb’s headset, grab the Earth-2 Barry they’ve kept locked up for the whole a very-eventful day and hide in the local time vault. Wells did good, ordering security alerted and everyone else evacuate, but they just barely manage to hide behind an illusion. At which point, the three of them go for help at the precinct, where Barry can find his wife, Iris, and explain everything to her. They’re able to find Killer Frost and, after some intimidation, followed by some fighting, convince her to lead them to Zoom’s lair. She even helps them get inside. And then breaks Jesse’s chain. And then, when Zoom arrives, they find she was doing Zoom’s bidding the whole time. Still, she turns on Zoom and she’s able to hold him off, which, I’m guessing from Zoom’s subsequent pursuit and his history of killing people, probably cost her life. I love how Barry, always the one supporting people with wise and hopeful words, needed help from his other self. Barry saved Barry. 🙂 And now he and Iris are heading to Atlanta to hide from Zoom, while Barry the Flash takes his friends to hide on Earth-1, though he’s promised to come back for their masked friend. They barely make it, Zoom right on their heels, so close that he grabs Wells even before Barry gets back from dropping off Jesse and Cisco. Wells is able to get free and they get gone, the Breach being sealed. Now, here’s where we know things are about to go catastrophically bad: everyone’s celebrating before the deed is done. Jay, exultant, has his back to the Breach, which Zoom is right on the other side of. Zoom’s clawed arm comes out of the closing Breach, piercing straight into Jay’s back and out his chest, pulling him in as Cait screams. …and cliffhanger! …we have Jay Garrick, former Flash from Earth-2 who has been helping out on Earth-1, and has now been pulled into the Breach, murdered, by all appearances. …we have a Hunter Zolomon, which is Zoom’s civilian alias, also on Earth-1. …and now, to add to those three, if I am right, we have another Jay Garrick imprisoned by Zoom on Earth-2. So we have two Garricks, and two Zolomons. This is getting to be a very complex mystery! What is going on?! …and how are they going to continue this with the Breaches supposedly all sealed shut? Ok, small detail right off the bat: Team Arrow needs lessons in tailing someone covertly. That had to be the single most conspicuous tail I have ever seen. Naturally, they’re led into a little trap, which they come out of perfectly fine, but they blew the chance of finding Damien again by following his wife. Major flub-up, that. Ruvee Adams is certainly good at putting up a front. She successfully appears to be an upstanding citizen, but not only is she Damien’s wife and co-conspirator, she also seems to be the one that pushes Damien forwards whenever he hesitates in any way. That speaks volumes about her. Her and Ollie’s witty, double-speaking verbal fencing matches notwithstanding (which, Ollie is letting on to his connection to the vigilantes a bit), any woman who can drive a man like Damien forward when even he is reluctant to do something terrible, and dishonorable, is very dangerous. Can I just say it? It’s a mistake to keep killing off your colleagues so nonchalantly! They’re not going to stand by you when you fall after you’ve already killed most of them for minor offenses against your wife! Sheesh! Even Darth Vader wasn’t that bad! With their plans entering what is presumably a final phase, it’s time to tie up loose ends and remove obstacles! In particular: Captain Lance and Oliver Queen. For this, HIVE brings in a demolition unit that can operate with military precision. First Lance is lured to an abandoned building, then try to take out Team Arrow when their location is compromised, and, finally, they plan to attack the debate between Ollie and Ruvee, the idea being to turn her into a sympathetic survivor and him into a corpse. Nothing goes quite as the demo team plans. First Laurel gets her father out before he’s crushed, then Thea grabs their skewered laptop as everyone makes an escape from their second encounter, and, finally, they stop the attack on the debate hall. Lance thought to keep his distance from Felicity’s mother, Donna, but didn’t dare tell her the truth about why or what was going on. She was understandably upset about that. Lance gained a new respect for Ollie, having lived a double life for years on end, while Felicity is able to support her mother with a few wise words about repaying Lance’s love with a little trust. In the end, Lance tells her the truth, and Donna kisses him for it, and for fighting HIVE, the people who hurt her daughter. Speaking of secrets, Thea has found the bread crumb trail that leads to Ollie’s illegitimate son that he only recently discovered he has. As Ollie explains things to her, she’s able to see both sides, and, even more, she sees how William would be endangered by Ollie’s activities if their enemies knew about him. So she supports Ollie in keeping the boy a secret, even from Felicity, and helps him understand why the boy’s mother would make such a demand. Mind you, I still say she’s full of it. Keeping a secret is one thing, but demanding that Ollie never tell anyone is simply going too far. Besides which, it has ultimately proven useless. Merlyn passed the info to Damien, and now Damien has William living in his own house, alongside his daughter. What. Did they do. To his mother? There is no way in Hell she just allowed that, much less actually asked for it! Zero! Of course, she has no importance to Damien, except, perhaps, to increase the emotional weight bearing down on Ollie. Whether that would work better if she was alive or dead is up for debate. However, as I’m sure she would go to Ollie for help if she were able, and Damien is the sort to keep his cards close to the chest until the right moment to play them, I’m guessing he’s left her quite unable. About the only truly good thing to happen in this episode is the engagement party. 1) Hey, it’s a party that does not get attacked in any way! Wow! 2) Curtis has been frantically working on a device which, when implanted, could allow Felicity to walk again. Oh, and back in the flashbacks (…they are going to make it relate to what’s happening in the present, right? ), Ollie proves himself to Taiana the other prisoners by killing Conklin. While Reiter reveals that he believes Ollie has been chosen by destiny to obtain a great power (and give it to Reiter), neither the prisoners nor the guards are particularly keen for Ollie to survive. Only Taiana’s advocacy keeps him alive long enough for the prisoners (this is, what, the third time Ollie has been among a collection of prisoners on the island?) to make their demand, and Taiana pushes him to do it, to kill the man that manipulated her brother into attacking Ollie. At this point in his life, however much blood Ollie has spilled, he hasn’t done much killing, so it’s a high price, still. This is where he falls further into the darkness it took years for him to come out of, with so much guilty blood spilled. Conkling dies, but with his last breath, he laughs, revealing that Reiter intends to kill everyone anyway. I suspect that may actually include the guards too, but either way, Ollie has little time to work with. It’s Operation Rescue Everyone and Save the Timeline from Our Own Mess Again! Outside the gulag, Rip, Cold, Sara, Jacks, and Kendra work on saving their friends. Inside the gulag, Stein, Heatwave, and Ray work on not breaking. Ray and Heatwave sort of bond, as the former keeps trying to do something about their situation and the latter keeps trying to convince him of the obvious benefits of keeping your head down in prison. When they torture Ray and Heatwave, Ray antagonizes them so they’ll focus on him. He takes a beating for his teammate, and they have an honest conversation about priorities. When the rescuers comes, Heatwave refuses to leave Ray behind, even with the Atom suit now in his pocket, carrying Ray to safety. Stein squares off against Valentina and Savage in turn. Honestly, Valentina had the stronger presence in this episode, and when the one-off is more formidable than the overarching villain, there’s just something out of balance, ya know? Valentina actually did something this episode, while Savage just kind of loomed. Mind you, what she did ended up getting herself killed by mini-nuke, but Savage’s performance was really quite poor this episode. Ironically, it’s Cold who keeps her from killing Stein. He’s not terribly humane most of the time, but he has a thing about never abandoning or turning on one of his crew in the middle of a job. He abandons Sara to save Stein alone, while he rescues Heatwave, and Ray too at Heatwave’s insistence. But he also keeps Sara from making the easy, monstrous choice. She’s afraid it means she’s losing her edge, but Rip suggests that she’s just getting a new edge instead. Jacks and Kendra get momentarily benched, and only get in on the action when they show how they can help. Sort of. They didn’t do much either. Kendra dropped him off without anyone noticing the flying woman in their midst, and then Jacks ran across an open yard instead of being dropped off right where he needed to be. Eh, they cause a riot the covers their friends’ escape, though first Jacks has to get Stein out of his merging with Valentina. Just as he was originally the one in the driver’s seat the first time he and Ronnie merged, Jacks helps Stein get control of Valentina’s body, then pulls him out. Result: she blows up while the Legends escape. Well, at least they can honestly say they kept their word to the Russian mob, to shut down Savage’s operation. They’re toasting their escape and how they managed to not destroy the world with their meddling when they’re attacked. Obviously it’s another time traveler, Chronos. They crash land in Star City in 2046, about thirty years into the future now. The episode ends as they meet an arrow-wielding vigilante who is not Ollie. It’s his son! In at least one continuity. There was a lot of ground covered in this episode, both for the characters personally and for the history behind this big plot. So, no freak of the week this time. In Portland, Nick and Adalind invited everyone over for a little party in their “Fome” (Fort/Home). Nick and Munroe spend some time on the roof, going over the past, discussing the present, contemplating the future. Nick’s relationships with Adalind and Eve have got to be among the strangest and most intricately complicated that I have ever seen on television. Still, the world is strange, and I think Nick and Adalind’s more romantic entanglements can be safely left in a metaphorical crock pot to cook very slowly. Trubel has a similar conversation about the past with Eve, and it’s far less friendly. Eve is pretty cold and emotionless, I notice, where Juliette was passionate and ended up drowning in darkness. So, note to self, when Eve starts showing emotion, that is when I will become worried. Very, very worried. Meanwhile, Renard is still supporting his friend’s mayoral campaign. When the race is neck-and-neck, Renard proposes exposing the opponent’s shady past, which had been dug up through some undercover work and then buried under political favor. His friend doesn’t like the idea of using it, but the redhead, whose name I can’t remember, pushes for it. She’s perfectly right, saying the people have a right to know the truth about who they’re voting for, and we know Renard is fine with getting his hands dirty, so all they need is to give it to the press. Still, that was a very vivid analogy Renard was going with, and with the redhead supporting it completely, I’m very wary. Does it strike anyone else that she seems to have an unnatural hold on him? And now for the true meat of this episode: an old man dies in Europe, and his substantial estate is up for appraisal, including a number of antiques. The antiques dealer, a very nice lady, calls an old friend to look at some very old books. The moment I heard that, I knew we were dealing with something very special: Grimm books, the sort that Nick used to have, inherited from his ancestors. The old man who examines them recognizes them, and calls his nephew, Munroe, hoping to sell them to Nick. Munroe and Rosalee are a little asleep at his 3 AM call time, but when Uncle Felix says, “I have something your Grimm friend will be interested in,” they step up. Turns out, every moment counts, because Black Claw really wants those books. They’ve sworn to wipe out all the Grimms, and every trace of them. They leave a number of bodies in their wake, starting with the unfortunate antiques dealer, then moving on to toss Uncle Felix’s shop, but he’s already gotten out and taken the books with him. And come straight to Portland to deal with Nick directly. Black Claw catches up to him in his hotel, after he’s shown Nick one of the books, centuries old and with wesen neither Nick nor even his wesen friends have ever heard of. Both sides want those books. They cannot let this opportunity slip through their fingers. Between how their frustration at trying to deal with Black Claw with limited resources, and a need to pay an exorbitant fee – which is still dirt cheap for what they’re getting – for the Grimm book, and HW’s help in finding the Black Claw members who murder Uncle Felix, Nick and the rest are kind of just falling into working with HW. That should be interesting, especially since Meisner, not Nick or Renard, is the one with authority there. But for what they get in exchange for all their trouble truly is priceless. I seem to recall Kelly telling Nick once that she and his Aunt Marie had inherited something like twelve or twenty trunks full of Grimm stuff, and that’s what they stocked the trailer with. This single trunk may not have had nearly so much in quantity, but in terms of quality? Wow! They have nineteen Grimm books again! They have more Grimm weapons again! And there’s one book in particular that records the genealogy of all the Grimm bloodlines, right down to the present, living generation. That’s the entire living Grimm population, across the whole of the world, all held within one book. That is knowledge powerful enough that no one who not a Grimm should possess it. Not even the HW. One single leak, just one traitor or successful theft, and their enemies, including the Reapers, the Royals, any lingering Wesenrein, and especially the whole of Black Claw, could wipe them out, right down to the last. It only took one to kill the Wesen Council. Best to guard that genealogy book above all else. Well, ok, above all the rest of the books and weaponry, I mean. There’s one more thing which Munroe discovers in a secret compartment in the trunk’s lock. That genealogy book is priceless above the rest, and there are lives at stake in protecting it, but one could make a similar argument about this last and most pivotal find. Nick originally had one of the Seven Knights’ Keys, one piece of their map. Then he was given a second one, by another Grimm just before the man’s death. This late Grimm, however, was keeping three. Three. They now have five out of seven. That’s enough to give them an approximate location for this mighty and powerful treasure that everyone’s been after since the Crusades. There’s no X on their map, yet, but they’re really close. I’m fairly certain they need all seven keys, though, not only to finish the map but to unlock whatever vault is safeguarding this priceless, powerful treasure. So, even when they end up going to the Black Forest in Germany, if they find the treasure’s location without a complete map, I still don’t think they’ll be able to really obtain it without the last two keys. And, really, the Seven Knights, some of whom worked for the Royals, acted to keep this whatever-it-is out of Royal hands, or anyone else’s for that matter. I can understand the urge to unravel the mystery, but it might just be better to let sleeping devils lie. This entry was posted in This Week on TV and tagged Agent Carter, Arrow, Castle, Grimm, Legends of Tomorrow, The Flash. Bookmark the permalink. Hi there Merlin. Had a look at this and I just have to say, I’m impressed as ever by how much thought you put into this. Anyway, down to business. – I have no idea what the point of fixing the speed cannon was when Geomancer just broke it again, that was honestly really an eye-roll moment for me. – Earth-2 Barry Allen kind of sucked, honestly – I was fully expecting him to go all Shaggy and Scooby-Doo when he was freaking out about Zoom ‘G-g-g-ghosts?’. A bit too hammy for my tastes. – How on Earth does Barry expect to keep his promise to the dude in the mask that he’ll come back when he was planning from the very beginning to seal the breach??? I’m thinking maybe he (eye rolls) suddenly, conveniently, stupendously. spontaneously develops enough speed to travel through dimensions even without a pre-existing breach – which is how the Supergirl crossover happens, maybe? In trying to search for Zoom, he fails and goes to Supergirl’s universe instead and gets roped into her antics…that’s what I think anyway, how about you? – When Ruve was being tailed by Team Arrow, her car disappeared – mayhap she can use magic as well? Darhk wasn’t shown to be there and I feel like if he was, he would have tried to take on Ollie personally. Though if she had magic of her own, why not actually fight Ollie herself? – It’s also a little out of character for Darhk to kidnap Ollie’s kid so suddenly I think – I mean, he disassociated himself with Anarky specifically because he resorted to kidnapping a child (well, I think she was more like a young adult than an adolescent to be honest). But I digress – William is far, far closer to his daughter’s age, and it has been shown that he has some degree of respect for familial sentiment, so I was rather expecting him to sit on Merlyn’s info for a good while longer, until it was time to kill off the kid. I suppose it’s to show how truly desperate Ollie/Green Arrow are making him, but I can’t help but think that this was far too abrupt. Do you think that they’ll revisit that subplot sometime soon? – Curtis’ conveniently timed bio-chip I thought was a mistake – sure, it was kind of expected, but I would have liked her injury to be at least semi-permanent in status. Hopefully she won’t get that chip plugged in for a little while longer, so as to let the show explore how she copes with her sudden disability a little further (I think the way she just triumphed over it all in 1 episode was ill thought at, and too quick), re-evaluate herself a little more. That’s a subplot with great potential for emotional highs and lows, and I’m rather disappointed that they wrote it off so summarily…what do you make of this development, personally? Honestly, I’d love to talk about Legends with you, but this is a long enough comment as is I think. Let the discussion begin I guess? Yyyeeeeah, Arrow’s been skimming over some potent, dramatic details for the last season or so, and Flash has always been a bit campy. Heh. – And how did Geomancer follow Garrick back to Star Labs anyway? – Of course breaking the speed cannon twice was all for dramatic tension, as was the, “It’s so difficult reaching for this last, very-convenient lever!” thing. – Barry is occasionally faster with his ideals than his brain. I mean, they obviously have a way for him and Zoom to keep fighting each other, but what it is… I have no idea. – I have no idea again about how they’re going to untangle this knot with both a Jay and a Zolomon on each Earth… though they may have simply been twins separated at birth, eh? Perhaps that’s Earth-1’s Jay in the cage? It WOULD seem fairly simple, but beg the question of why Zoom grabbed him and how he erased all trace of him before our Jay could find him… and then there’s the seeming fate of our Jay… eh, we’ll see soon enough. – There are ways to make a care disappear very quickly that don’t involve magic, but she surely has something about her that captivates Damien. Not all magic is good for offense, though, and Ruve, doesn’t seem the type for combat anyway. – That would have been sweet, seeing Ollie’s speech, but how are they going to have Ruve lose so perfectly on-screen while maintaining her air of dangerous intellect? And yes, Ollie needs to dial-down the double-speak. How did Ruve not notice his obvious connection to Team Arrow, with all the hints he dropped that he has her pegged? – The whole plot with Felicity being crippled has been rushed and hasn’t really done her character justice. But, then again, neither did pairing her with Ollie. At least Thea’s blood lust was drawn out a bit more, and it gave the League Civil War some pretty high personal stakes for Ollie, so obviously they CAN get it right, but they’ve been stumbling and off-balance for a little while. – I guess Geomancer just took advantage of Garrick’s distraction and…something? – Ah yes, forgot about that crowd of people, I just thought that they were random bystanders (curse you, Flash team). Given that Jay can only realistically carry 1/2 people max plus the fact that he was only shown dropping like 3 people off…poor form CW. – I don’t know, my annoyance with Earth-2 Barry was probably just a personal thing haha. – What you say about Darhk’s altercation with Anarky is true, but still, I would have expected that he’d have sat on that particular piece of information a little while longer, just because he’s a father himself, and well, despite the concerns of his associates he doesn’t really seem that worried about his wife’s political campaign. William’s mother is definitely alive (set photos). Those same set photos confirm his baby mama and Vixen will both be learning his identity (they’re in the new Arrowcave with masks off). I now fully expect her to fly far, far away after they get the son back to keep him as removed from Ollie’s lifestyle as possible. – Look, if Ruve/Darhk/H.I.V.E. haven’t already found out that Ollie is GA, then they are quite possibly the stupidest villains I’ve ever seen and deserve to lose haha. – How do the Soviets aligned with Savage know Firestorm is split into halves? Why not thirds? – I think that the writers might have written themselves into a hole when it comes to the whole ‘only Kendra can kill Savage’ shtick – she barely got any screen time to develop, and given how integral she is to the entire mission, that’s rather worrying. I wasn’t a fan of the whole benching half the team thing, that was frankly stupid (especially since it translated into her and Jax being benched into Offscreenville). Yes, Hawkgirl is the one Savage wants the most. She might also off him, so there’s that. And, this is going to be callous of me, but he can always just go and pick up the next incarnations. – Wasn’t a fan either of the bit where they had a drink to celebrate their ‘success’. Oh sure, there wasn’t an army of Firestorms in the future anymore, but their actions resulted in a nuclear meltdown, no biggy. – Am I the only one who facepalmed when Ray was in the gulag? His interactions with the other prisoners were really forced, like they were playing Ray as mentally challenged rather than just a bit socially awkward. No one in their right minds behaves like he did in prison. Admittedly, I’ve never been in prison, and I don’t intend to go there any time soon either, so I could possibly be wrong. – Looks like they’re (probably) going to pick up the next incarnation of Hawkman whilst they’re in 2046…lets hope that this one is a bit less smarmy and smug when it comes to his romance with Hawkgirl? – Oh, they don’t just need Kendra to kill Savage, they need her to have that specific dagger. Which, really, is idiotic. Savage’s backstory was much better unaltered. Even if it left him immortal, at least he could be imprisoned. Which, really, why not just do that? Like, bury him in a concrete block and then put that block deep in the ice at the heart of Antarctica or something like that. – No, you are not the only one who facepalmed. This episode and the last have featured him as being somehow incredibly naive. Bit irksome, really. – Oh, Hawkman returns! …hmm, I wonder if this time they’ll have Kendra be the one so confident about them while Carter’s the reluctant one? – Addendum: it had to be Kendra wielding the knife to kill him, plus saying a very specific incantation (which I think was a horribly cheesy and sappy love poem). This was all the way back in episode 2 though, when Hawkman was still around so I might have blotted that out of my memory on purpose. And yeah, I know what you mean, especially since he’s been taken out so many times already (even if only temporarily). Of course, they have the ‘magic’ factor as plot armour. Though really, what’s to stop them from knocking Savage out, travelling to a time period where space travel exists (or even use the Waverider if they can), grab a spaceship, then chuck him into space or the sun? Brain death from oxygen deprivation or complete incineration…but that’s neither here nor there, because, of course, magic is, after all, the ultimate plot armour. It’s said by Hunter that Savage can regenerate from a single cell, so complete incineration sure seems good to me. – And when Hawkgirl and Savage met! That annoyed me so so much – not least because I wanted her to go all warrior priestess on him so he could actually be pushed to showcase a bit more power – because she had a PRIME opportunity. I mean, Rip blew him up! Sure, that wouldn’t kill him, but it should give her enough time to try and off him – and even though it’d obviously be ultimately unsuccessful for plot reasons, it just makes sense to me. The love of her immortal lives was killed in front of her eyes, she’s (presumably) still rather unstable with her emotions – why not open a can of whoopass on the man? – I don’t know for sure that Hawkman is going to pop back up next episode, but it seems rather likely – the actor can only go within a certain age range; I’m not sure how time travel affects their reincarnation since he died in 1975, but maybe it’ll count as him dying in 2015; by 2046 then, the year that they crash-landed, he should have had enough time to be reincarnated back into a young adult. Exactly right! Talk about wasted potential! Did you miss out on the second Agent Carter episode, “Monsters”?